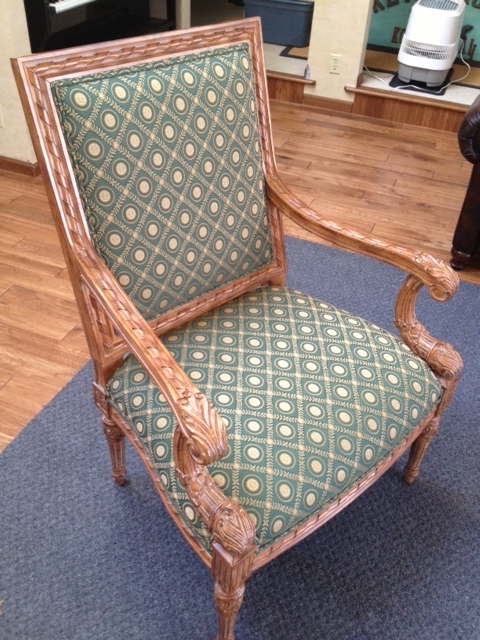 Re-upholstery and new wood finish gave this chair a very much needed face lift! Furniture shopping is a long, arduous process that no one is particularly fond of. It takes time and sometimes that time can be better spent upgrading pieces you already own. For a facial lift in your own home, instead of going back and forth to buy brand new furniture, start with something you already have and upgrade it. An old chair can easily be refinished, its fabric is updated, and its entire look manipulated into something modern, edgy, and quite different than its roots. See the attached pictures for proof of this beautiful transformation. 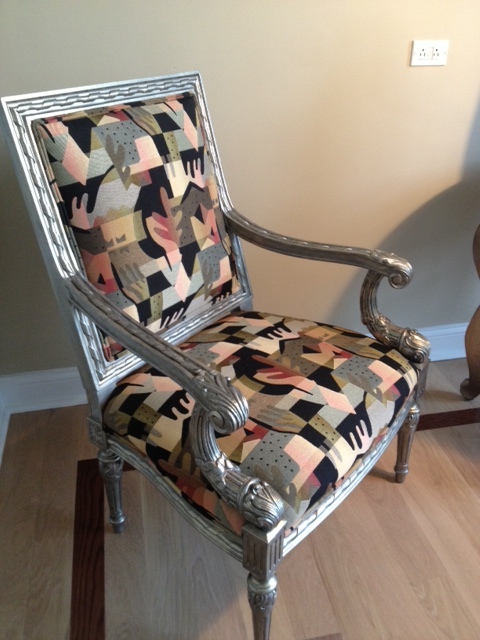 We gave this old thing a metallic finish and reupholstered the seat with a bolder pattern. The chair went from a more understated posture to an eye-catching design. With the amends, we were able to move the chair around the house and into another room, knocking two birds with one stone and essentially re-imagining multiple spaces. Editing and altering older furniture not only elevates individual pieces, but works as a cheaper, smarter renovation to your home.